Can getting a car be as easy as opening up an app, scanning your driver's license, and inputting your credit card? Fair (www.fair.com), the latest startup by serial entrepreneur Scott Painter, does just that, letting users shop for a car, get approved, and pay for a car through a month-to-month payment--with no long-term commitment. 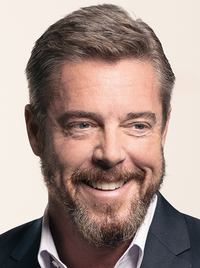 Painter, who was previously CEO and founder of TrueCar, and has a long history in the automotive purchasing and financing industry, sat down with us to discuss Fair, what he learned at TrueCar, and how he hopes Fair will transform the auto industry. Fair recently raised $16M in a seed funding round, from Javelin Venture Partners, Charles River Ventures, Foundation Capital, Sherpa Capital, Moonshots Capital, and others. What is Fair all about? Scott Painter: In simple terms, Fair is an app that represents a totally new way to get a car. Explain more what that means? Scott Painter: As you know, I have been building solutions for modern consumers to make buying a car and shopping for a car a more pleasant and simpler experience, for a long time. What Fair represents, is really a completely digital experience, where you can download the app, and instantly get approved for a car by just scanning your driver's license and providing a form of digital payment, such as a bank account number or credit card. With that, you can shop for any car you're looking for. All of the cars in the Fair app are pre-owned, but you can shop for any car for sale at any dealership. Fair is a simpler way to pay for that car and get it, without going through the traditional dealership process. How did you decide to tackle this particular area of the market? Scott Painter: I have been at this now for twenty-plus years, through two public companies, and almost a dozen startups, all trying to solve the same, exact problem. At the end of the day, to really deliver a completely unique and excellent customer experience, we found you need to underwrite the transaction itself. Fair operates not just as a lender. We buy the car, put it on our balance sheet, while simultaneously entering into a contract with you, the customer, to let you use that car for as long as you want. What's the most difficult part of this area of the business? Scott Painter: I think the challenge of making great technology or magical technology is not about making it harder or more complicated, but making it simpler for the end user. What tends to happen, and tends to be true, is the simpler you try to make things for the user, the harder it is technically. If you've played with the app, it has a very elegant user interface, and it's designed to be very easy to navigate. All of the vehicles are shown with the monthly payment, which represents the total cost of ownership of that car for our users. All of our vehicles come with a warranty, standard maintenance, and roadside assistance, all standard. We also offer collision coverage, liability, and insurance, all covered by that month to month payment, and if you need it, we offer excess wear and tear, so there's no surprise when you turn it in. What lessons did you learn from TrueCar, which are you are applying here? Scott Painter: I think one of the things that Fair benefits from, is lots of the work that happened there in terms of the digital space. TrueCar was a real pioneer, but being a pioneer is always tough. Today, we have perfect data and information about the new and used car marketplace, both at the wholesale and retail level. That level of transparency makes it so we don't really have to blaze a lot of trails here. Because of that, it's much more embraced by dealers. There isn't any high confrontation moment. Fair is buying the car, and our customer is then entering into a contract to use that vehicle. What we represent to the dealer is a deal. They don't have to pay for the sale, and we're not charging them for that customer. They're agreeing to sell a car the way they wanted to. It's actually, in many ways, benefited from the removal of friction and the pioneering we have done in other areas. We've created a business out of the gate to acknowledge the current state of technology and mobile adoption. Are dealers finally accepting and understanding that this kind of technology can help them sell cars? ,p> Scott Painter: I think it benefits some more than others. No doubt, we are really mapping to both the new world and old world, if you will. When you buy a car at Fair, we are mapping to the tax, registration, and other systems that are already in place at any dealer, at the p hysical level—whatever they have to comply with. There's no hall pass on that. Hopefully, companies like Fair can provide an elegant bridge to the customer. TrueCar was a bit jarring to the industry. Transparency creates a lot of friction between them and their customer. In this case, there really isn't any. We're designed a bit differently. How does it feel to be back at a privately held, early stage startup after heading up a public company? Scott Painter: It's interesting that a lot of people have been interested in what we're building at Fair. We have acted as if we will have public scrutiny at some point, because we believe that we're building a relatively large company if we're right. We believe that consumers aren't going to be using their money to buy cars like they have in the future. The future is where a car is viewed by consumers as a service, and they will pay a monthly fee for access to a car. In that future, we become a very large enterprise, which grows very large, very quickly. The average price of an automobile is $20,000 to $30,000. We have to finance that acquisition every time. That means we will be a fairly large company. So, we assume we will have to go through a lot of scrutiny. That said, I will say that it's nice to be running a private company and not have that irrational, 90-day shot clock that comes with managing your stock price in a public market. Unfortunately, when you are public, your stock price will go up and down, and your partners, employees, and everyone is watching and reacting to that. Obviously, when you're running a business, you don't want to think about stock price at all—you want to run your business by making solid decisions. Unfortunately, it's beyond your control how people feel about the business day-to-day. It's great not to have that pressure, for sure. I think that, one of the greatest parts of company building, is during that innovative period between launching to scaling that business, which is where we are today with Fair. You've gone through this process many times, with many companies, one of the people with the most experience starting and growing companies here in Southern California. What's your biggest piece of advice to other entrepreneurs? Scott Painter: I think you have to make sure your source of funding is a real partner. That's something that most young entrepreneurs tend to de-prioritize. Any money se ems to be the rule of the day, especially when you're trying to start, but it's absolutely critical you are partnering with the right source of capital. Nothing is a straight line, and you're never assured of success. You have to have a partner who will go through ups and downs, and help you make it through to whatever goals you are reaching for. Having a really, supportive investor is probably the most important advice I could give to a new entrepreneur. Thanks, and good luck on the new startup!